As robots are increasingly developed to assist humans socially with everyday tasks in home and healthcare settings, questions regarding the robot’s safety and trustworthiness need to be addressed. The present work investigates the practical and ethical challenges in designing and evaluating social robots that aim to be perceived as safe and can win their human users’ trust. With particular focus on collaborative scenarios in which humans are required to accept information provided by the robot and follow its suggestions, trust plays a crucial role and is strongly linked to persuasiveness. 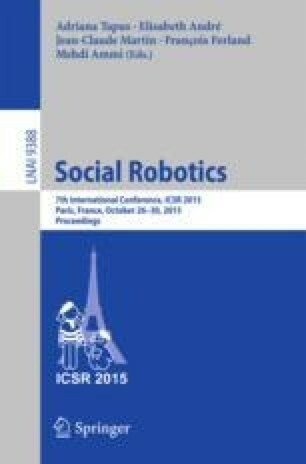 Accordingly, human-robot trust can directly affect people’s willingness to cooperate with the robot, while under- or overreliance may have severe or even dangerous consequences. Problematically, investigating trust and human perceptions of safety in HRI experiments proves challenging in light of numerous ethical concerns and risks, which this paper aims to highlight and discuss based on experiences from HRI practice.